These small round cakes are bites of delight. Soft and delicate, crispy outside and smooth inside with a melted filling between both cakes. 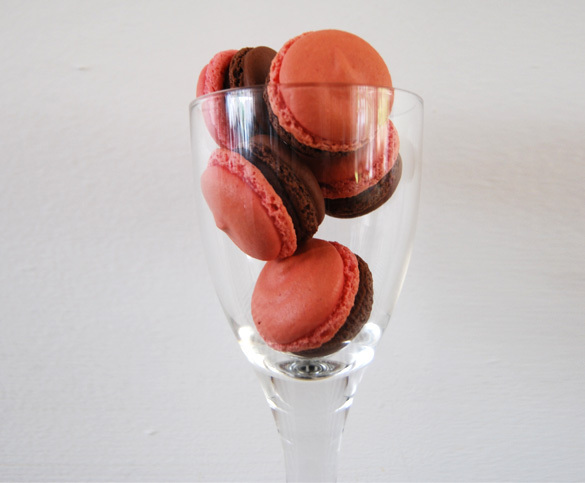 Macarons are made with egg whites, ground almonds and sugar. Their hard outer shells are sandwiched together with a soft creamy center that can consist of anything from fruit purée to chocolate ganache. "People think of them like cookies, but they are much more delicate and exciting than a cookie—so crunchy on the outside and so soft in the center, like a little pastry," says François Payard, a third-generation pastry chef from France who owns an eponymous patisserie in a loft-like space in Manhattan.